With Beauty And The Beast, The Jungle Book, and Cinderella already in the books and Aladdin, The Lion King, and Dumbo on the way, the options for Disney’s live-action remakes of old animated films are getting a little slim. 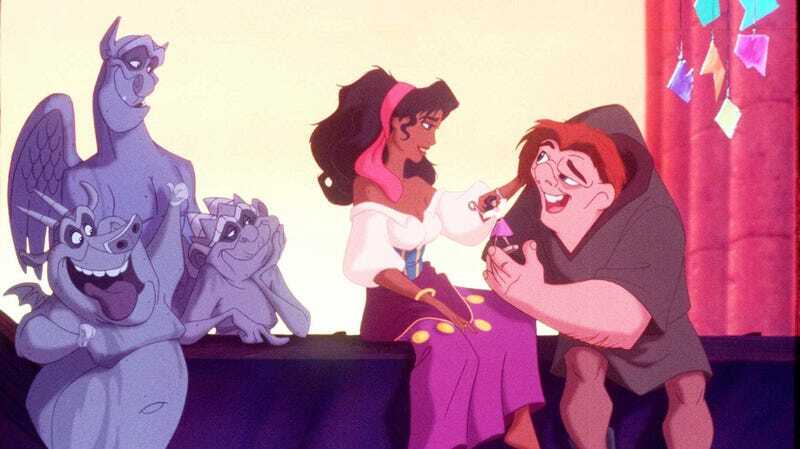 That brings us to today’s news, which is that Disney is now in “early development” on a live-action remake of Gary Trousdale and Kirk Wise’s The Hunchback Of Notre Dame from 1996. The original has its merits, specifically “Hellfire,” but it’s not exactly remembered as fondly as classics like Beauty And The Beast or The Lion King are. That means we’ve reached the B-tier of animated Disney movies, which is both a good thing and a bad thing. On the bad side, this means it’ll be harder for Disney to get people as jazzed about this movie as they are for something like Aladdin (which generated a lot of excitement based solely on some musical stings in its trailer). On the good side, though, all that really matters about Hunchback is its name, so the team behind it—which includes Josh Gad as a producer and Tony-winning playwright David Henry Hwang as the writer—won’t have to be as slavishly faithful to the original as some of the other remakes have been. The project is still a ways off, seeing as how it’s still so early, but after this we can most likely look forward to remakes of some other Disney also-rans like Tarzan, Brother Bear, and Atlantis: The Lost Empire. We just hope nobody touches Hercules, because it’s secretly the best animated Disney movie and it’s already perfect. Also, on another note, Netflix is developing a Hunchback Of Notre Dame movie that is completely unrelated to this. Choose these Recommended Stories or your pyre!